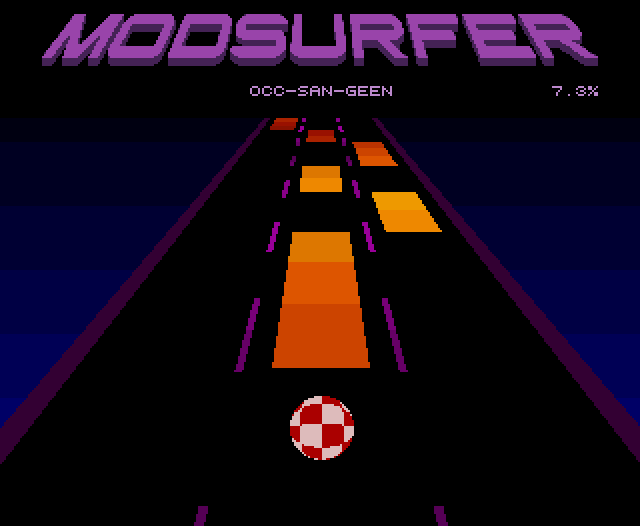 ModSurfer is a free rhythm game for Amiga computers, inspired by the PC title AudioSurf. Select a MOD music file from your collection and ride the rhythms to victory. All PAL Amigas are supported. Larger MODs will need more chip RAM. Hard disk installation is supported. The author has also created an archive with mods for you to get started. YES! The game I have been waiting for. Great idea&concept. Thanks for sharing the link. If you are into these kind of games you should also check out TrackerHero AGA .